Last second plays and amazing comebacks capture our imagination, but what I saw last night in the SEC Championship game between Alabama and Georgia rang so true in my spirit that I’m still thinking about it. By the way, I’m a die hard Auburn fan – Class of ’92. 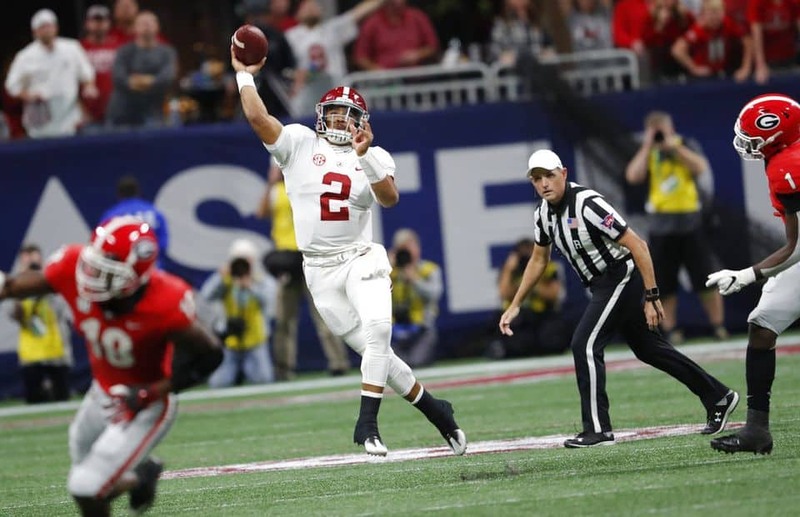 Tons of praise and adulation will be heaped on Jalen Hurts for his fourth quarter heroics, deservedly so. He entered the championship game, as backup QB, mid way through the final period, and led the Tide to an epic comeback win. His excellent performance in that game, under immense pressure, is just another piece of his puzzle. Back up 20,000 feet and take a look at the life of this man, a masterpiece in the making. As a two year starter with a winning record of 26-2, Jalen was benched during the 2017 National Championship game. Being replaced as starting QB for the 2018 season, he was presented with several options; red shirt, transfer, position change, or backup. The obvious choice was to transfer to another school and continue being a star quarterback. However, Hurts made the seemingly unimaginable choice to stay at Alabama and embrace the role of backup. I’m sure it would have been easy to harbor ill feelings and resentment toward the coaching staff, the team, the media, or even God for his situation. However, not only was he able to make the humbling transition from starter to backup, he was still sold out for the team. Jalen’s character and humility did not change with the outcome of a football game, but it was brought into focus for the world to see. We are all blessed to see the journey and the example of this young man. Love, humility, and hard work develops character. Character not only wins football games, it sets you up for success in life. Much respect Jalen Hurts. I’ll be teaching my kids and grand-kids about faith, humility, and character using your story.